Visit Locker Emporium for all your locker needs! At Mailbox Emporium, we take great pride in offering the hightest quality products at the lowest possible prices. If you are able to find a lower advertised price on an identical product, we will match that price PLUS give you an additional 1% off! Please fill out form below and include a link to the product you found with a lower price. All requests are usually responed to within 1-3 hours during working hours. If you have not received a response within 3 hours please call or chat with us and we will be happy to assist you! Please fill out the form below to receive a free quote. All quotes are usually sent the same business day. If you have not received a quote within 3 hours please call or chat with us and we will be happy to assist you! Receive 5-10% off your purchase when ordering 2 or more mailboxes! If you have any questions regarding our bulk discount please email us below.. Mailbox Emporium offers the lowest prices online. If for some reason you do find a lower price (including shipping cost) we will match that price and give you an additional 1% off your order! Please fill in and submit the form below to see if you receive this offer. We typically respond within the hour during regular business hours. 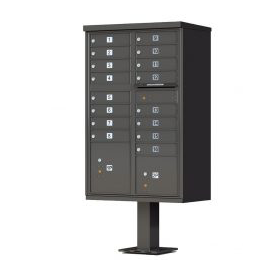 All cluster box units and parcel lockers include matching pedestal. 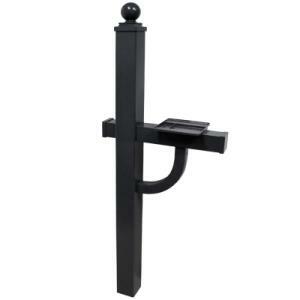 Constructed of heavy gauge aluminum and 300 series stainless steel components for superior strength, security, and exceptional outdoor durability. Rugged, weather-resistant powder coat finish in six architectural colors. 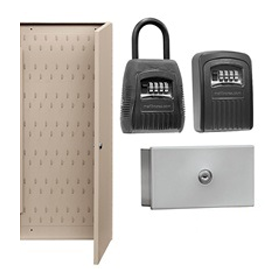 High security features include interlocking, overlapping seams to prevent prying, heavy-duty cam latches and locks, and an anti-fish comb to prevent mail theft. CBU’s and are front loading and include a carrier access door prepared for a USPS arrow lock (installed by local postal officials). Florence is the original manufacturer of the F-series CBU. The Florence 1570 cluster box design has been adopted by the USPS as the design standard for all CBU’s manufactured in the US. Lowest Prices Guaranteed on all Florence Cluster Box Units! 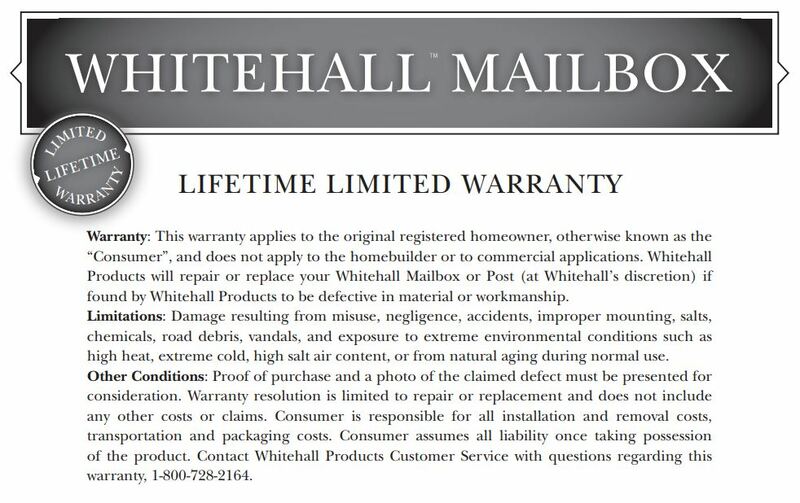 4B Horizontal Mailboxes are USPS approved for replacement installations. All units are available in front- loading or rear-loading configurations with options for 10 – 35 tenant doors. 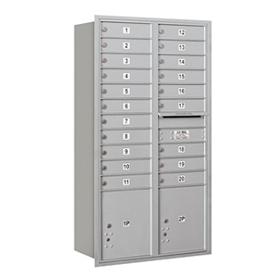 4B Vertical Mailboxes are USPS approved for replacement installations. All units are available in surface-mount or recessed configurations with options for 3, 4, 5, 6, or 7 tenant doors. USPS Approved 4C Mailboxes – Florence recessed 4C mailboxes are pre-approved by the USPS for both indoor and outdoor centralized mail delivery. 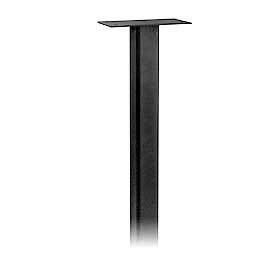 4C pedestal mailboxes require local post office approval for USPS mail delivery. 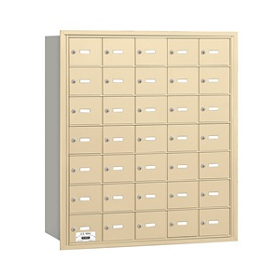 USPS Approved Parcel Lockers – All cluster mailboxes sold by Mailbox Emporium are approved by the USPS and considered the industry standard for outdoor, centralized mail delivery. USPS Approved Cluster Box Units – All cluster mailboxes sold by Mailbox Emporium are approved by the USPS and considered the industry standard for outdoor, centralized mail delivery. Elegant, distinctive design with a large capacity to hold multiple days of mail along with magazines and small packages. Please call 888-352-9194 for details. 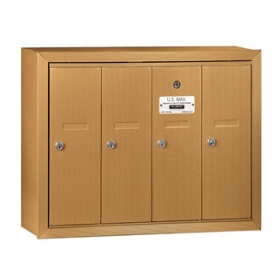 USPS Approved Parcel Lockers – Florence is the only USPS Approved manufacturer of Outdoor Parcel Lockers (OPL) – the perfect solution for your secure package delivery. CBU Cluster mailboxes are officially licensed and USPS Approved. 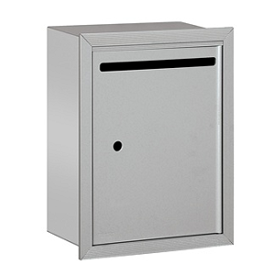 4C Horizontal Mailboxes are ideal for new construction and major renovations. 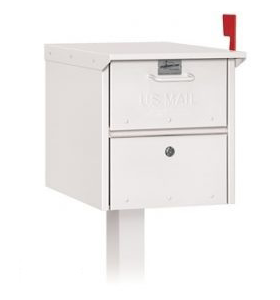 Vertical mailboxes are made out of aluminum can be used for Postal Delivery only when they replace older vertical mailboxes and are most commonly found in small, multi-family buildings. 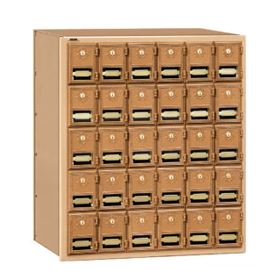 Mailbox Emporium offers letter boxes, parcel lockers, free-standing mail centers, key keepers and replacement locks for your mailbox needs. 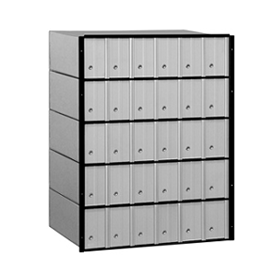 Standard System Aluminum mailboxes are rear loading units that come in six (6) unique door configurations and are designed to stack two (2) units high. 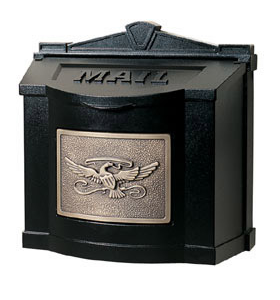 Brass Style mailboxes are available as Brass mailboxes or Americana mailboxes and are available in front or rear loading styles. 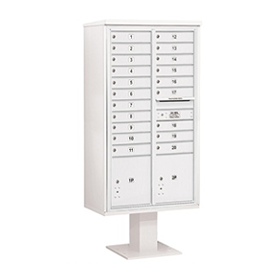 Free-Standing mailboxes come in a variety of options including 4C Pedestal Mounted Horizontal Mailboxes, pedestal drop boxes, collection mailboxes, free-standing mail centers. 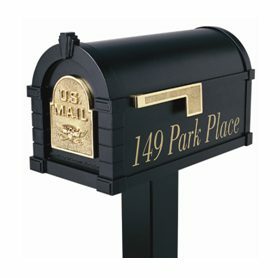 Mailbox Emporium offers letter boxes, mail drops, mail receptacles, postal specialties and replacement locks for your mailbox needs. Orders over 60 Ibs. 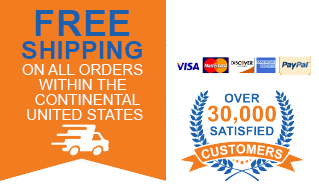 are shipped via FedEx freight or common carrier. Transit time is approximately 2-5 days (dependent on location). The carrier will call before to schedule a delivery time. All other orders are shipped via FedEx or UPS Ground with a standard 2-4 days for delivery. For next day or 2-day shipping please contact us for pricing. Fashion and function with a classic design. Large capacity to hold multiple days of mail, magazines and small packages. Constructed of heavy-duty aluminum with a durable powder coated finish, Salsbury rural mailboxes create instant curb appeal for any home. 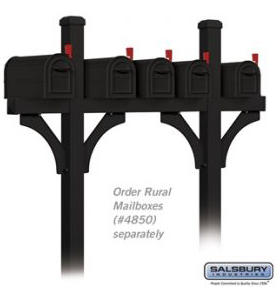 Constructed of heavy-duty aluminum with a durable powder coated finish, Salsbury Roadside Locking Mailbox deters mail theft while safely protects your mail from the elements. Includes Whitehall mailbox, 2 personalized side plaques, and standard post. Large capacity to hold multiple days of mail, magazines and small packages. 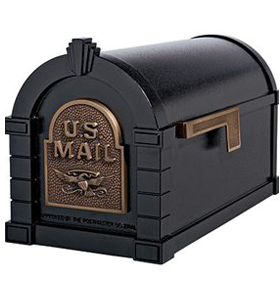 Includes Whitehall mailbox, 2 personalized side plaques, and deluxe post. Large capacity to hold multiple days of mail, magazines and small packages. Includes Whitehall mailbox, 2 personalized side plaques, and superior post. Large capacity to hold multiple days of mail, magazines and small packages. 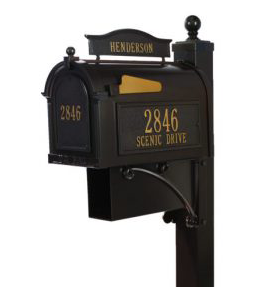 Includes Whitehall mailbox, 2 personalized side plaques, door plaque, 2-sided topper, newspaper box, and deluxe post. Large capacity to hold multiple days of mail, magazines and small packages. Includes Balmoral mailbox, door monogram, 2 side plaques, and decorative Balmoral post. USPS Approved Balmoral Monogram Deluxe Mailbox Package - Includes Balmoral mailbox, door monogram, 2 side plaques, plant hook, post cuff, and decorative Balmoral post.